Createspace Independent Publishing Platform, 9781495313912, 238pp. Wishing Well Independent Book Award Finalist A freighter collides with a yacht and abandons the survivors. A couple is left behind by a dive boat. These are the dramatic events that force changes in maritime attorney Max Gildea's carefully organized life where win, lose, or settle out of court he gets paid and paid handsomely. As he represents the only survivor of the yacht sinking and gets involved in the search for the couple missing from a dive trip, his reawakening emotions catapult him into the chaos of joy and sorrow that are the necessary ingredients of a fully lived life. 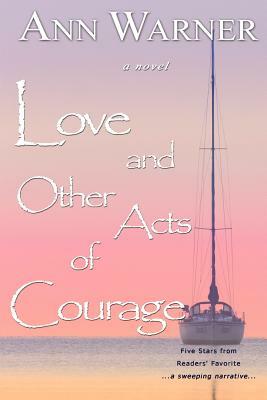 Love and Other Acts of Courage is emotionally compelling, character-driven fiction in the tradition of Jodi Picoult, Barbara O'Neal, and Kristin Hannah.